Bolidt has developed a special version of its Bolidtop® 700 Pharma Terrazzo flooring for Alcon, global market leader in eye care product. 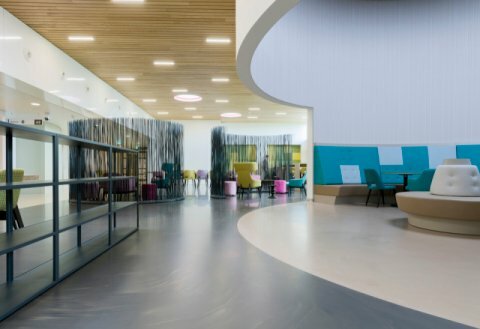 Another special feature at the facilities in Puurs (Belgium) en Cusi (Spain) are the high-quality customised floor covings, made in consultation with the wall supplier, which complement the application with seamless wall to floor transitions. Alcon has been a customer of Bolidt for decades. The company started in 1945 as a small chemist run by Robert Alexander and William Conner in Fort Worth (Texas, USA) and in nearly seventy years has grown to become the world’s leading supplier of eye care products employing more than 20,000 people. In Cusi and Puurs, Alcon develops and produces a wide selection ranging from eye drops, ointments and contact lenses to complex surgical products for eye operations. Innovation is what brought Alcon and Bolidt their success. It is, therefore, not surprising that with regard to the flooring for Cusi and Puurs, the companies asked each other the question: is it possible to make the flooring more durable and hygienic? This resulted in Bolidt’s laboratory developing a special version of Bolidtop® 700 Pharma Terrazzo. 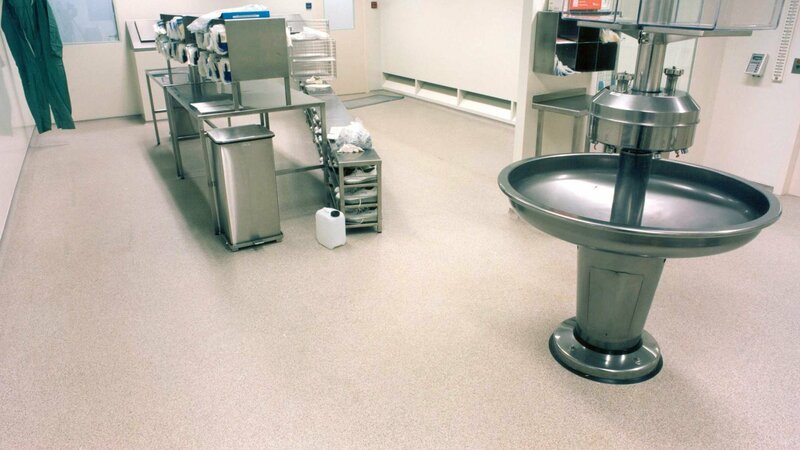 With a solid, sturdy synthetic base and an extra thick sealing coat, the floor has an even smoother finish for improved hygiene and durability. For the same reason, and in consultation with the wall supplier, Bolidt created high-quality, customised floor coving. First, the coving is installed and then the wall, thus enabling a quicker application and – more important – making it even easier to clean the seamless corners. Indispensable for compliance with HACCP and GMP requirements. 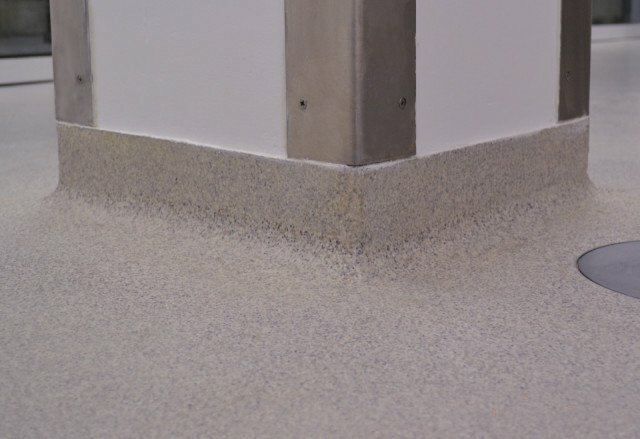 Alcon’s new parent company, Novartis, is impressed with the bespoke work and the quality that Bolidt has delivered to the various Alcon sites over the years. Bolidt’s flooring solutions fit in perfectly with the vision of this international pharmaceutical company, for which corporate responsibility is a key priority in its global operations.